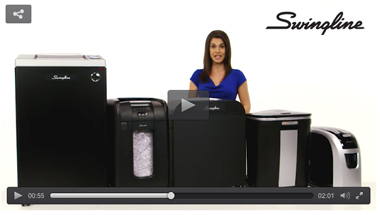 Any shredder protects against identity theft, but only Swingline® Stack-and-Shred™ cross-cut and micro-cut shredder models protect against productivity theft! Choose the auto feed shredder to fit your space, from a 60 sheet under-desk necessity to the 750 sheet shared space powerhouse. 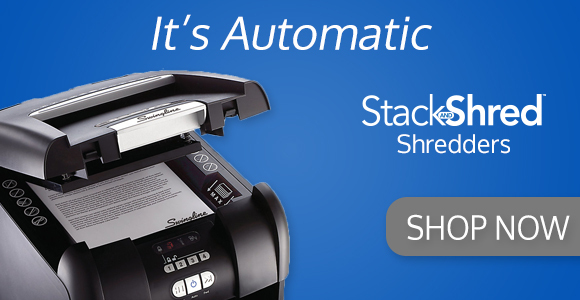 Stack-and-Shred auto feed shredders get every document security job done. 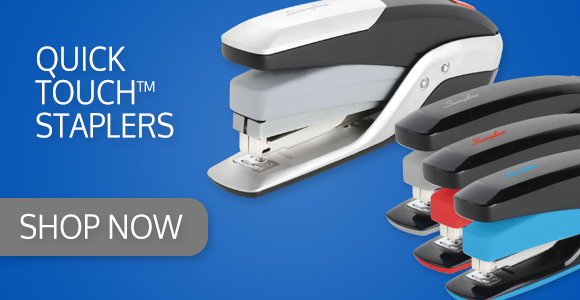 Quick Touch™ staplers offer a boost of power for effortless stapling even as sheet counts increase. Ideal for desktop stapling. QuickLoad™ allows easy staple loading. Staple magazine ejects from the front of the stapler with the push of a button. 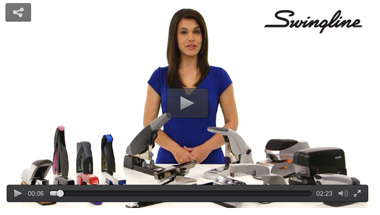 Electric staplers get things moving. 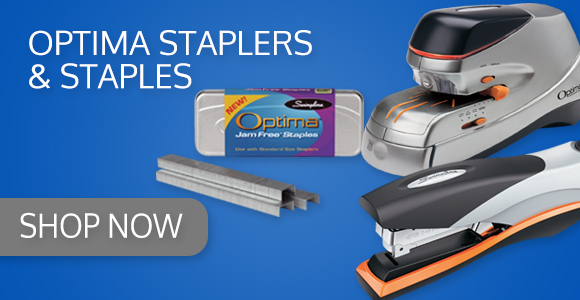 High-volume stapling demands the speed and convenience that only an electric stapler can offer. 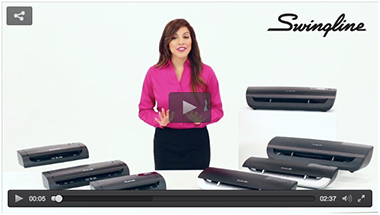 Swingline® electric staplers feature automatic, precision oriented operation that makes even large stapling jobs an effortless task. Swingline™ GBC® worked from the ground up to streamline their products and the lamination process, incorporating cutting-edge technology into a sleek design. 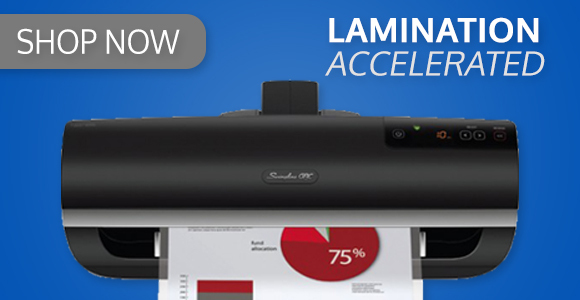 Delivering unmatched speed and simplicity, Fusion™ laminating machines make lamination faster and easier than ever before.